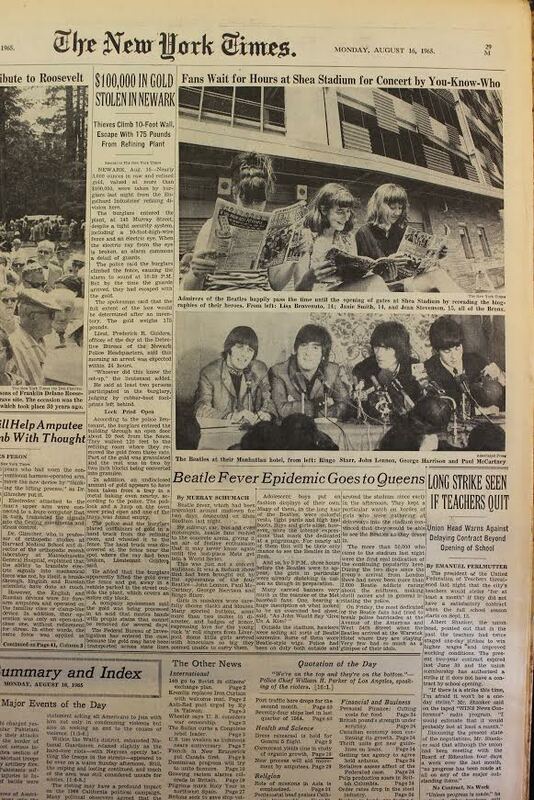 The Day After Shea Stadium – A Concert by You-Know-Who…. Thanks for Andrey in Russia for the scan. 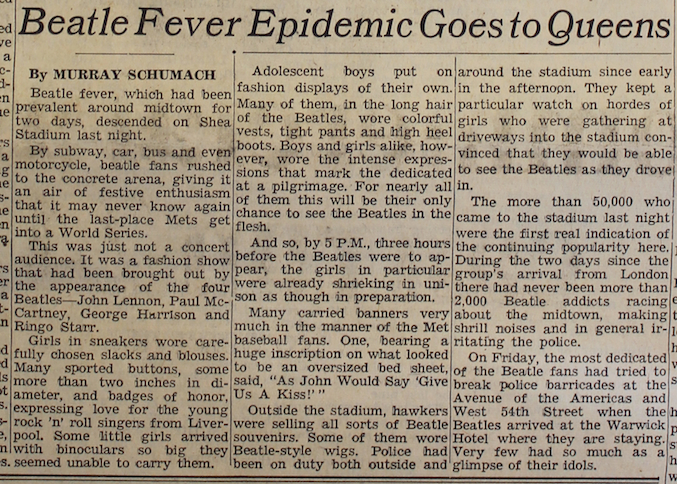 This entry was posted in Beatles, Beatles Music and tagged Beatles, Music, Shea Stadium by beatlesblogger. Bookmark the permalink. Curiosity : Linda and Barbara were at the show !! !